Firstly, congratulations on winning you must be very proud to win the first Car of the Month to be voted by the members!!?? "Very much so mate. I couldn't believe it when I found out I was selected for COTM. When I heard that members of the club voted my car for COTM, was well chuffed. Got a lot of help and advice from NPOC members so am very proud of the fact you guys have chosen my car for this month. Thanks." Before we discuss the car, lets hear some facts about the man himself, tell us a bit about yourself Bob. "My name is Babar Qayyum but you all know me as Bob and live in Woking, Surrey. I'm 22 and currently doing a BSc Software Engineering degree at Kingston University. General interests are computers and cars." Thanks for sharing all that personal information, now we know about you, lets move on to discuss the Car of the Month! 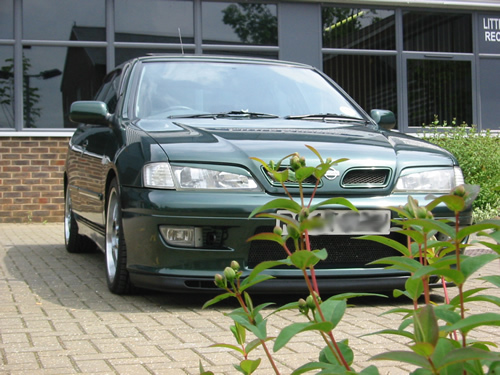 What brought you into the world of the Primera and why a GT? "Where do I start? At the time I was looking for a replacement car. Due to the amount of trouble I had with the previous car I had back then, reliability was a key issue. One of the most reliable cars I've owned was a Nissan Bluebird and not once did that give me any trouble. So when it came time to look for another car, felt it was best to go back to the Nissan roots. 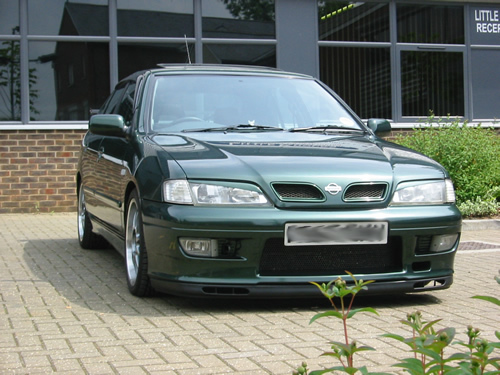 My dad who also owned a P10 Primera at the time suggested that I should consider a Primera as a replacement. Guess parents always seem to know what's best. 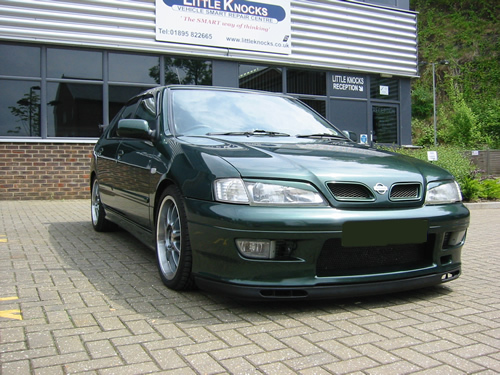 Initially I was after a P10 eGT Primera as being a Nissan, it will bring with it the reliability factor but I was also after something with a bit more grunt than the average car and when I heard that these models came with 150bhp standard, I felt it was a good choice. However when looking for them, they were very hard to find and I started to consider buying other cars but thought I'd hold out for the Primera. But after months and months of searching, I finally came across my P11 GT and absolutely loved everything about the car." So you fell in love with the P11 then? "I had not seen the P11 GT model before so when I saw the car for the first time, I thought ?WOW?. This model of the Primera came with a lovely body kit, alloys, half leather interior, sunroof, alarm, electric windows, central locking, trip computer, list goes on and on and being a GT, it had the same 150bhp as its predecessor, the P10 eGT, so it had the performance to match. (Editors note: Match a P10eGT?!!! lol) All these features came standard which is what surprised me the most and the fact that this car is a rarity and different from the norm. In the end, it made one very happy Primera owner. It's certainly the longest time I've owned any car where it's been over 2 years now and I plan on keeping the car for many years to come." Who or what convinced you to start modding your car and join the NPOC? "To be honest, when I first started off, I had very little desire to modify the car as I was more than happy with it when driving the car, I found it to be a lively car where it was responsive and had superb cornering but at that time I was working for Halfords and listening to the different audio equipment available, felt it was time for an upgrade. This was what got me started modifying the car with plans for simple but effective I.C.E. After I did my initial I.C.E install and moving on to performance parts, I was surprised on the limited availability on parts for the Primera. When searching the web, I found very little help and information for Primeras and find it mostly targeted for saxos, novas and other similar cars. 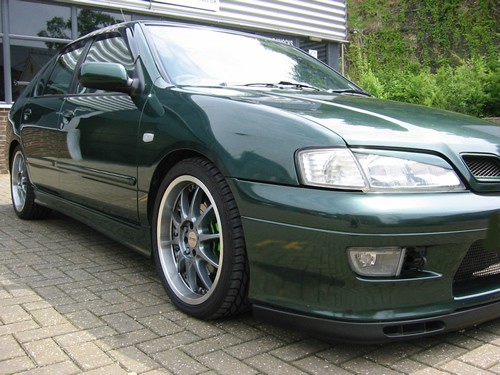 Then I came across Kev Shek's website where he had plans to modify his Primera. I sent him a few emails and I was glad to meet someone who had the same interest in the Primera as I did and he then directed me towards NPOC and I realised there was a whole club full of them. Found so much helpful advice and information and when seeing some of member's cars at a club meet as well as talking with some top people. 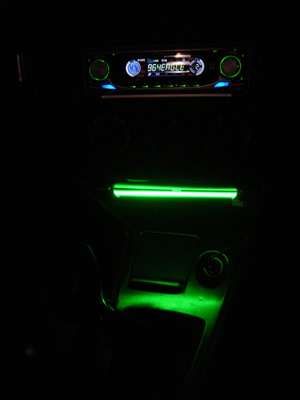 This was the real turning point for me when it came to modifying the car." 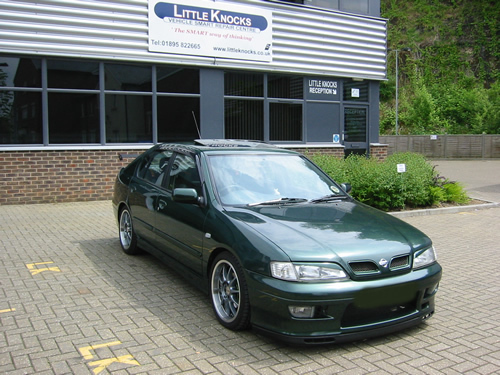 We all remember your car being in LittleKnocks shop for a while, can you remind us all what happened there!? 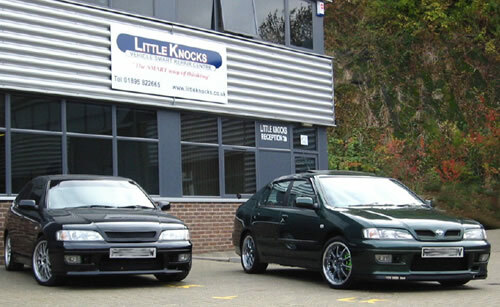 "LittleKnocks was a key turning point for my car. Over time, seeing some wonderful looking cars that some of the other members owned, I wanted to bring my car to pristine condition and customise the car to how I would like it look. Spoke to Chris who has been a great help to me with the car before, said that him and his bros will certainly have a look for me. The guys certainly had their work cut out for them as the car had suffered from stone chips, few scratches and some minor dents. 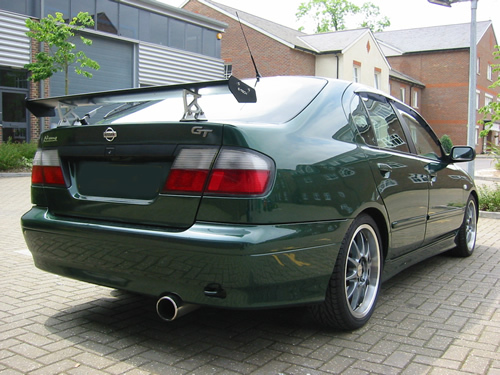 Then I had plans for modifications for the bodywork, which were the front-end modifications and the replacement spoiler and a few other bits. At the time LittleKnocks were in the middle of moving sites so spent the time to work hard and have everything ready for them. When they were finally set up, my car went straight in and was absolutely stunned when I saw the car again. The car looked superb and was much better than I thought it would. Guys at LK did a superb job and treated me like a mate rather than a customer. They even helped me with fitting the 17" wheels I got soon after. Top bunch of people and can't thank them enough!" Top job LK!! Could you give us a list of the modifications you have done, your car is very pretty mate!! Loads of interior shiny bits like doorsills, gear knob, etc"
That's a pretty extensive list Bob, what is your favourite mod? "I like all the mods that have been carried out from the I.C.E, short shifter, rotordiscs that have superb stopping power, exhaust system that has a lovely note. 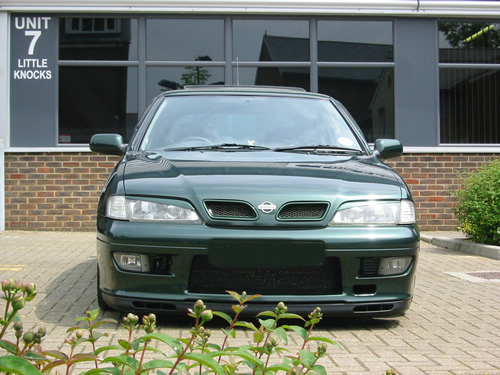 My favourite has to be the front-end modifications done to the car from the cut and mesh front bumper to the splitter as it's the first thing I see every day and I never grow tired of it!" I believe you are fond of your ICE, can you tell us about your system? First thing I did was to change the headunit and for ease of use I got the remotes and autochanger to accompany it. After testing some of the different speakers that available at Halfords, I found the infinity speakers sounded superb and decided to get myself a pair of 6x9s and an amp. 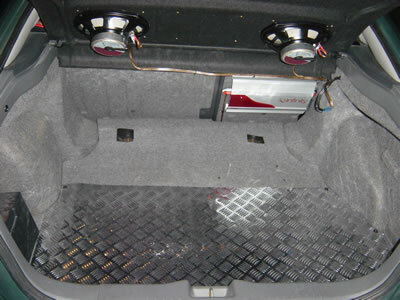 To accompany these, I had my original rear shelf sent off to autoaccoustics where they put MDF in the recess of the shelf for the speakers and then re-carpeted the recess to hide the speakers and give it the original look." What do you have up your sleeve Bob, anything you can let out of the bag for us before JAE? The rest is just to give the car a few finishing touches. Been very busy with work so will pray to god it gets done on time." We will watch out for you at JAE and keep a keen eye on your progress, can't wait to see the finished install. It's been a pleasure chatting with you Bob, you are now free to plug some companies and say some thank you's!! "Would like to say thanks to Steve for taking the time to do this COTM. Takes a lot more work and time than I thought it would! lol! Thanks mate! BIG thank you to Chris for all your help mate and a big thanks to the LittleKnocks for making it happen. Thanks to Mick for the quality work he did on the car and Andy for the work he's going to do on the car with regards to the I.C.E. 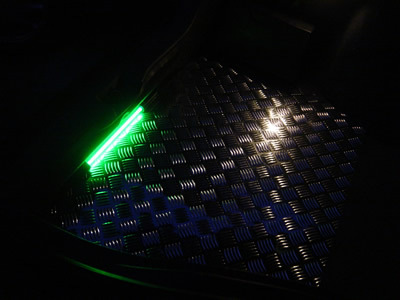 Other companies such as Autoaccoustics, Audio Design and Wheel Worx. Thanks. Very big thank you to all you guys at NPOC. Cheers!!!!"